V.H. Mandalia, DDS, is an experienced dentist who serves patients from all over Bucks County at the welcoming office of Comprehensive Family Dentistry in Feasterville-Trevose, Pennsylvania. Dr. Mandalia is passionate about dentistry, and he has more than 30 years of experience creating and maintaining beautiful, healthy smiles for his patients. In 1978, he received his doctorate from the University of Pennsylvania School of Dental Medicine in Philadelphia. There, he received comprehensive training in all aspects of dentistry. At his practice, he offers state-of-the-art equipment as well as comprehensive general and cosmetic services. Dr. Mandalia is a caring and skilled professional who is dedicated to providing the best dental care for his patients. He also wants his patients to be informed and knowledgeable about their dental health care, from services to insurance coverage. 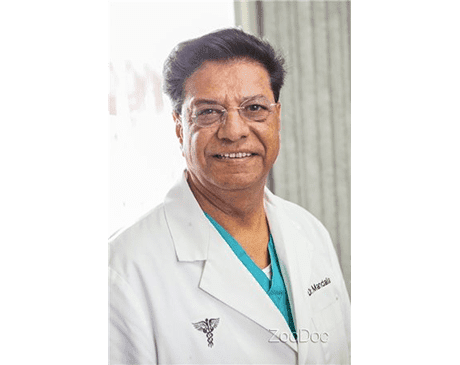 Dr. Mandalia continues to take educational courses in the field of dentistry, and he volunteers his services to help men, women, and children in underserved communities. Outside of the office, Dr. Mandalia enjoys singing, dining, and spending time with his wife, Kalpana, and their two children, Amy and Neil, who have both followed in his footsteps.